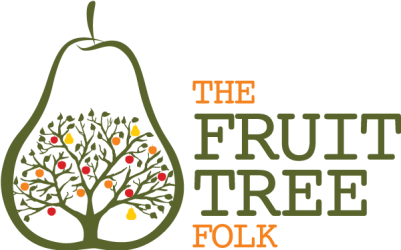 We combine our knowledge of fruit trees with modern arboricultural practice to provide specialist pruning services that will keep your tree healthy and fruiting. We assess the tree’s health and structure and implement a pruning plan that will encourage a strong framework and abundant spurs and fruit, providing a free feed with every prune. Stimulates vegetative growth and promote tree size. Winter pruning promotes vigorous growth. The harder the tree is pruned in winter, the more vigorously it will grow in spring. Winter is also the time to prune when you want to train a tree to a particular shape. We recommend that newly planted and dormant/deciduous trees be pruned during winter until the tree has achieved the desired height and shape. Summer pruning involves retarding growth to stimulate fruit bud development and dwarfing the tree for easier harvesting. The framework branches are maintained and any new, vigorous upwards growth is shortened or removed. Overcrowding branches are also removed from the centre. Once a system of summer pruning is established, very little winter pruning of the framework is required. For trees in their early stages of life. Formative pruning is performed over a few years to build the form and structure of the tree. Fruiting of the tree is discouraged, directing growth into making wood which will support the trees abundant cropping later on. Structured formative guidance of a new tree’s growth is essential to get the desired form to grow fruit. A new lease on life for older trees. Old, overgrown and unproductive fruit trees can be brought back to life with just a few years of good pruning management. Our renovation approach considers the health, vitality, form and species (i.e. olive, citrus, apple etc all require a different approach). Dead wood and broken, rubbing, diseased, and crossing growth/branches are removed first. As the tree recovers, we reduce/remove upward vertical vigorous growth to develop lateral growth buds, thus promoting good fruiting wood on able form. Call us on 0425 722 763 or email today for a free quote.